This story provides details about a new Rogers cell tower that has been approved by the city of Grande Prairie to improve cell service on the north side of the city. 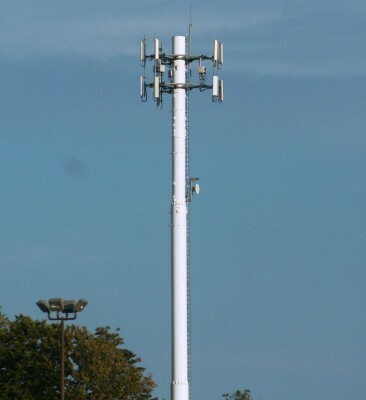 The cellular mono-pole tower will have room for other telecoms to collocate and will be relatively discreet. Rogers customers in Grande Prairie will have improved cell phone reception after the community growth committee approved a new telecommunications tower in the city’s north end. Bart Carswell, a municipal relations specialist for Cavalier Land, the company representing Rogers, spoke to the committee about the benefits of the new tower. He said Grande Prairie has “service gaps” that are going to change after Tuesday’s decision. “Southern Grande Prairie is looking pretty good but the network engineers at Rogers determined there is a gap in the north… this would satisfy that and improve the overall network coverage for the whole city,” Carswell said. Rogers currently has two towers – one in southern downtown, one more in the east end. Carswell said the three together would cover the city much better, particularly in the north and downtown near the Prairie Mall, somewhat of a dead zone for Rogers customers. The 115-foot tall, sky grey telecommunications tower will be built near the intersection of the 100 Street service road and 121 Avenue – near Spur’s Cookhouse. The site selection process has been ongoing for months. The last proposal before the city came in June and was turned down for being too close to residential buildings (Chelsea Villas to the northwest). The preferred setback (distance from residentially zoned land) is 210 metres. The last proposed location was 83.5 metres from the Chelsea Villas, falling short of the preferred setback by 60.2%. Coun. Chris Thiessen is concerned it may still be too close to the residential building, but in May no residents attended an open house information session or sent in any feedback despite being given notice of the plan. Carswell explained concessions were made on making the tower less visible from 100 Street, and that overall the structure will be relatively discreet. The cellular antenna itself is only 5.25 feet-tall, and will be flush mounted high on the mono-pole structure. Other antennas for different companies will be able to collocate onto this tower once it is built, which is a preferred method to having too many towers in an area. A Telus communication tower at 11902-100 Street, about 170 metres south of the site was considered for the Rogers antenna, but that tower is already full. Carswell said towers like this are quickly becoming so common to urban residents that they are hardly noticeable. And while people might not pay much attention to the tall grey tower, Carswell said they will notice dramatically improved service. The approval authority for telecom towers is Industry Canada, but its decision is contingent on municipal support. Administration will prepare a letter of concurrence to give the tower a green light. Carswell said the project is “construction ready,” and although he is unable to offer a time-line for completion, he said it would take two months to be operational once construction starts. This entry was posted in Potential Sites, Rogers and tagged cell tower, new cell tower, Rogers cell tower. Bookmark the permalink.